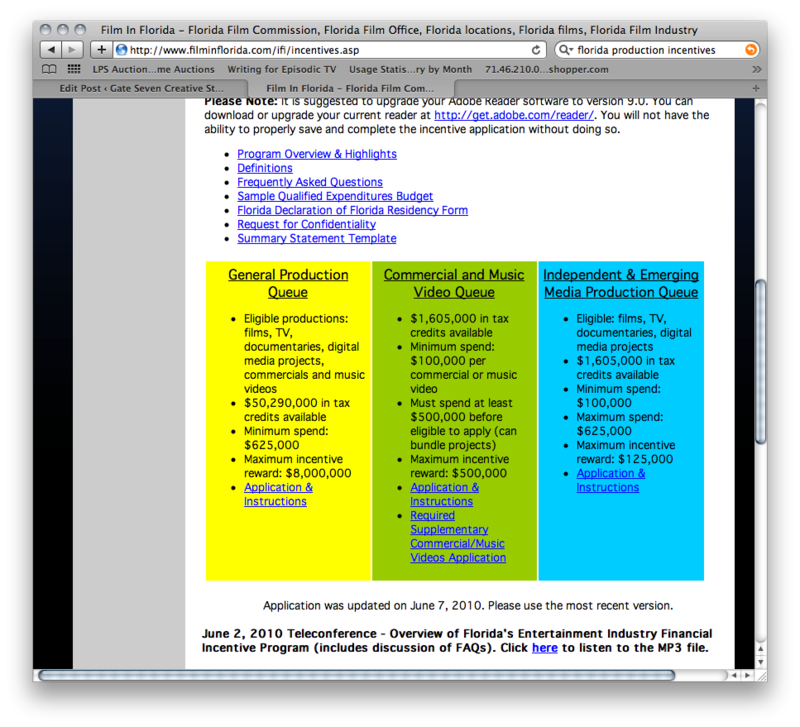 We thought we’d post a link to the updated Florida’s Entertainment Industry Financial Incentive program for 2010 and 2011. Not only can this help out the local industry, there are also great incentives for people to bring their productions to the Florida area. You can find the information here.